As an Employee Owned Company we strive to provide quality service in a timely manner treating your home as if it were ours. That’s why Academy Plumbing offers a 100% Guarantee on all of our plumbing, heating, cooling, and electrical services. You may have seen us on KRQE Channel 13. That’s right! Academy Plumbing is the only plumber in Albuquerque worthy of the “Ask a Pro” status. Got questions about plumbing, heating or air conditioning? Ask us! remodeling, residential plumbing and commercial plumbing repairs and replacements in plumbing, heating, cooling and electric in Albuquerque and surrounding areas since 1971. 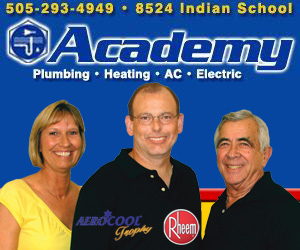 Jules F. Appelman if the found of Academy Plumbing. Jules started out by doing service calls out of his Alfa Romero. Jules is still very much involved in the company, he is a Certified Electrical Engineer, he is the Kohler Authorized representative repair technician for the state of New Mexico, Jules holds many licenses in New Mexico. 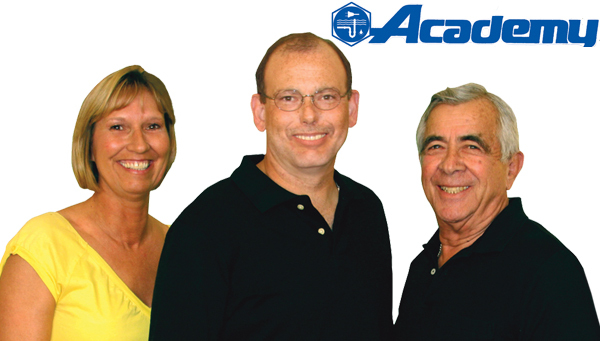 In December 2004 Academy became a Employee Owned Company, of which consist of Jules F. Appleman founder, Tim Starkey, Shelly Maez and Bill Collins. Which combined provides over 120 yrs of experience. Shelly Meaz has been with the company since 1986 starting out as a parts runner and scheduling service calls. Now holding the position of Chief Operations Officer of the company performing the duties of scheduling service calls and installationand replacements, ordering equipment and Accounts Payable and Receivables. Bill Collins has been with the company since 1989. Bill started as a helper digging ditches. He now is a JE98 Licensed Electrician and also holds EE98 and JG Classification. 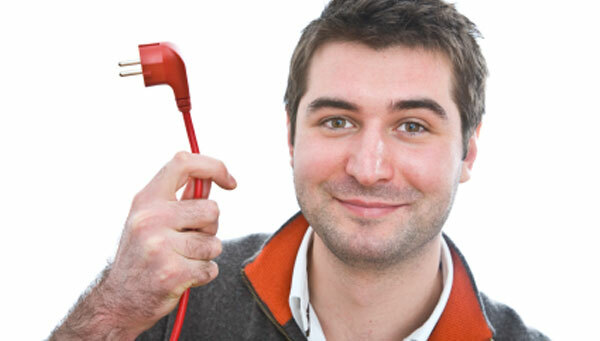 Bill performs all electrical repairs and replacements and is our heating and cooling installer and heating and cooling repair service calls and replacement estimates.